Ballymiscaw is a large townland in County Down, on the edge of Belfast. According to the PLACENAMESNI website, the name Ballymiscaw is probably a translation from the Irish phrase Baile Lios na Scáth “townland of the fort of the shadows or spectres”. The Ballymiscaw Road runs up into the hills between Dundonald and Holywood, but the townland also includes most of the Stormont Estate. This means that anyone hunting for a modern-day “fort of shadows or spectres” will soon spot Parliament Buildings, home to the Northern Ireland Assembly. It’s always easy to mock politicians, but on the issue of townlands, I’m actually on the same side as the Assembly, which has used “Ballymiscaw” in its official address since 2010. The Department of Agriculture and Rural Development also uses “Ballymiscaw” in its address. 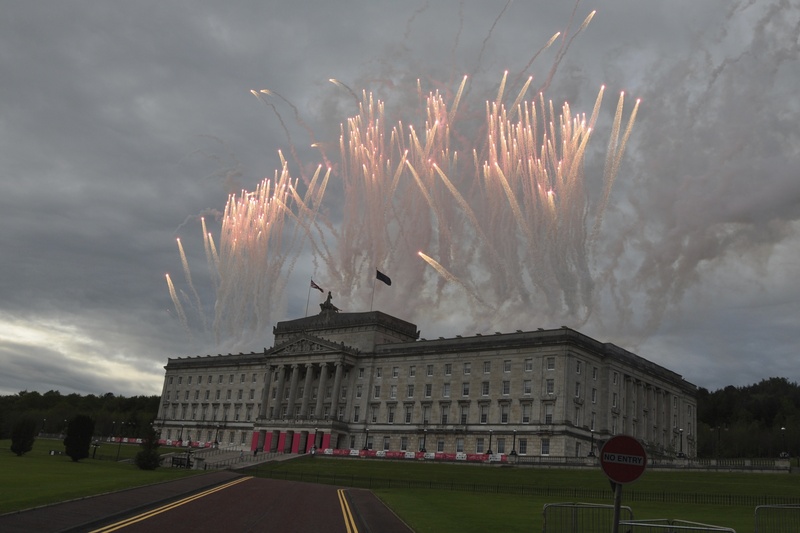 So here’s a celebratory photo of fireworks over Stormont. The fireworks were actually a celebration of a special event in May 2014 – stage 1 of the Giro d’Italia. 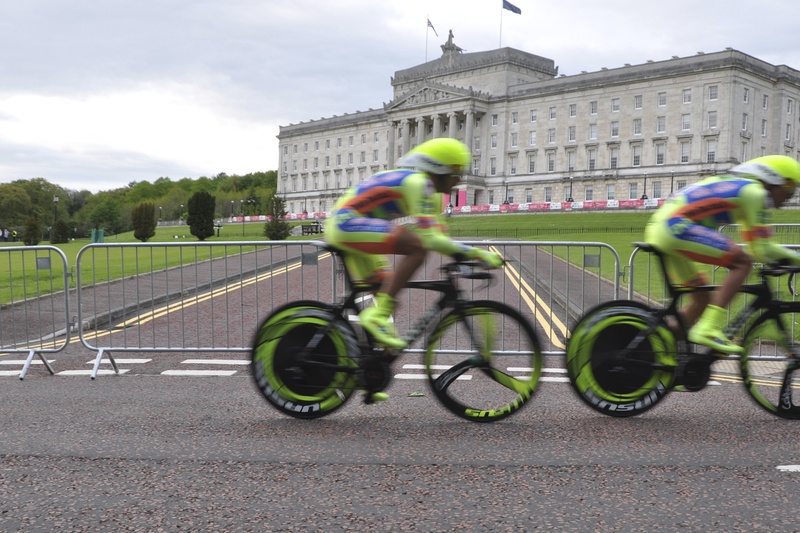 I wonder if the cyclists on the team time trial knew which townlands they were riding through? On a theme of road racing, this townland is also the location of the annual Craigantlet Hill Climb. On the day of the event, the Ballymiscaw and Belmont Roads are closed to the public to allow racing cars to storm up a short but steep hill. 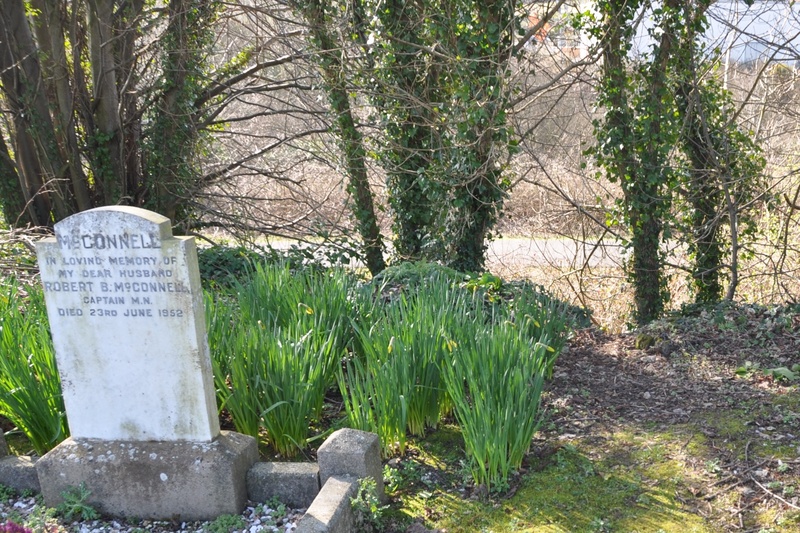 The townland of Ballymiscaw also includes Dundonald Cemetery, and a short stretch of the Comber Greenway just visible through the trees on the south side of the cemetery. Click here to read a debate on the Local Government (Numbers and Addresses of Buildings in Townlands) Bill in the Northern Ireland Assembly in November 2015. Which townlands border Ballymiscaw? Clockwise from the north, Knocknagoney, Ballykeel, Ballyregan, Church Quarter, Ballyhanwood, Tullycarnet, Ballycloghan, Killeen and Ballymaghan. Wow, great shot of the fireworks. The Assembly is quite an impressive structure. It looks old, but I read that it dates to the early twentieth century. The Parliament Building at Stormont IS really impressive, with an imposing location on a hill at the top of a long tree-lined avenue. Different kinds of Parliaments and Assemblies have sat here over the past hundred years of turbulent Irish history. 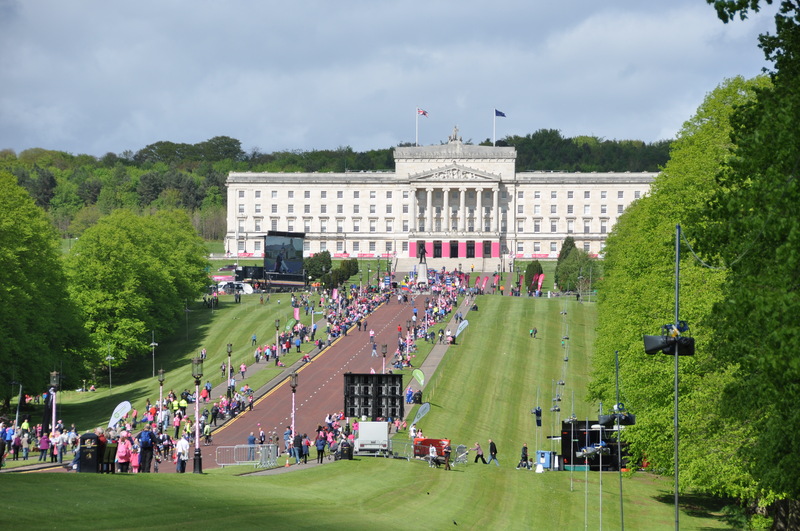 But we locals can probably agree on two positive things about Stormont: the Giro d’Italia in 2014 was a grand day out; and The Police put on a great show at their open-air concert in in 2008. And now Sting is touring with Paul Simon. That would be a great show! Loving all these blogs- u r keeping busy! Thanks, Helen! Now that I’ve given the Townlands blog a boost, I can settle down to one post a week. The London blog is all planned out for February with “28 Photos Later”. As to where I’m actually based each week, I will leave you guessing, but I’m getting the best of both worlds.